State of Mind is a product of the industry’s love for cyberpunk, birthed by childhoods dominated by Blade Runner, The Matrix, and a slew of other cyberpunk classics. The opportunity to speak about the social issues of today and those of a distant tomorrow, while also realizing a vision of the future nurtured since childhood, is one that Martin Ganteföhr and Daedalic Entertainment did not let go to waste. This collaborative effort between the game director and the German studio/publisher weaves together ideas of virtual worlds, advanced AI, and transhumanism, bottling it into a narrative adventure set in 2048 Berlin. But, video games as a medium presents developers with another opportunity: a chance to not only build that world for others to see, but to let players live out that futuristic fantasy for themselves in a way that only interactivity can allow. State of Mind, it seems, is far less enthusiastic on that front. This is a game that revels in its world-building and story-telling, leaving gameplay and player involvement as afterthoughts for the bulk of the experience. Daedalic’s latest makes an undoubtedly strong first impression. Sleek, hyper-stylized environments and unique, polygonal character models make the game a visual standout amidst the crowd of narrative adventure games. Richard Nolan, the protagonist and the first character that players control, is a journalist fighting back against the unopposed infiltration of technology into every facet of life. He finds himself in the crossfire between technology-obsessed scientists and the anarchists opposing them, marking the beginning of an endless series of twists and turns that’ll keep players on the edge of the seat. If not for its respectable writing and a strong story, though not without its fair share of nonsensical moments, there would be absolutely nothing keeping players motivated. Chasing the next big story beat is the counterbalance to the absolutely egregious gameplay and puzzles that make up the other half of the experience. When control is first given to the player, it’s instantly noticeable that movement is sluggish. Turning is an annoyance that evolves into a colossal pain later in the game as environments grow narrower. Early gameplay consists of traversing a handful of areas, with the intent of chasing down yellow markers that signify that an object or NPC can be interacted with. Players will move from marker to marker, praying that they’ve found the one that’ll finally advance the story. This endless, repetitious chore of following markers and spamming the interact button is punctuated by either cutscenes or the occasional puzzle. A steady stream of new game mechanics adds potentially interesting ways to spice up gameplay, but takes them away almost as quickly as they’re introduced. Swapping characters, hacking, choosing the correct evidence, the dreaded box-based puzzle game trope, and more are nothing but underdeveloped filler that add zero depth. State of Mind’s mechanics never evolve beyond its initial simplicity, leading to a severe discrepancy between story and gameplay. The first half of the game reuses the same two puzzles: the evidence collecting puzzle in which Richard’s audio cues give away the answers, and the challenge-deprived tile “puzzle” that involves completing a scene by cycling through tiles. The second half graces players with a far more diverse palette of puzzles, unfortunately having the same sedative effect. Each puzzle makes an appearance no more than two or three times before taking a bow and exiting, never to be seen again. There’s little effort to ramp up the challenge beyond a few additional steps almost always indicated by the presence of more yellow markers. Even without the most engrossing gameplay, narrative adventure games can always rely on decision-making to stimulate player involvement. 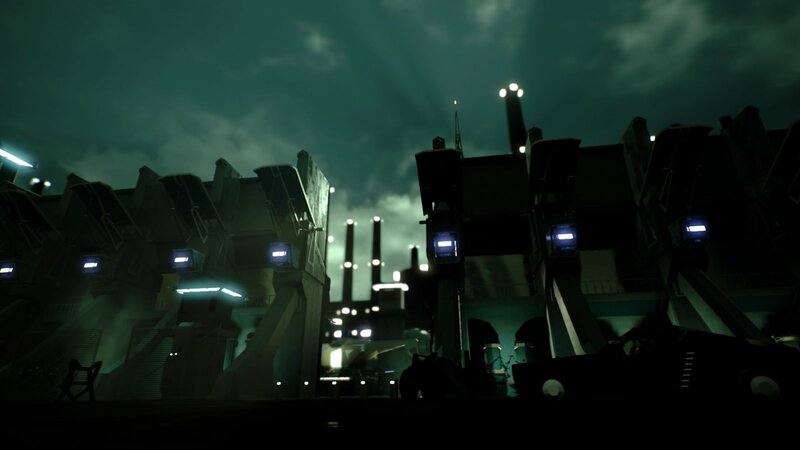 Even here, State of Mind lags behind its predecessors, often times giving players access to an array of dialogue options that seem more akin to being part of a quiz show than making choices that will impact a narrative. Wrong answers are a possibility, forcing players to wait for a scene or clump of dialogue to conclude before choosing another option. Only a select few have tangible consequences—not enough to keep players engaged for long periods of time. State of Mind is better suited for another medium, perhaps a film or episodic series. As a game, it lacks the engaging gameplay of other, better narrative adventures. Its story is arguably stronger than many of its contemporaries, but with poor controls and lackluster puzzles, State of Mind has no choice but to rely on its story to do the heavy lifting. State of Mind is so obsessed with its story that it forgets what medium it’s in. While a strong storyline and adept world-building can’t be denied, the game can’t escape its undercooked mechanics and puzzles.